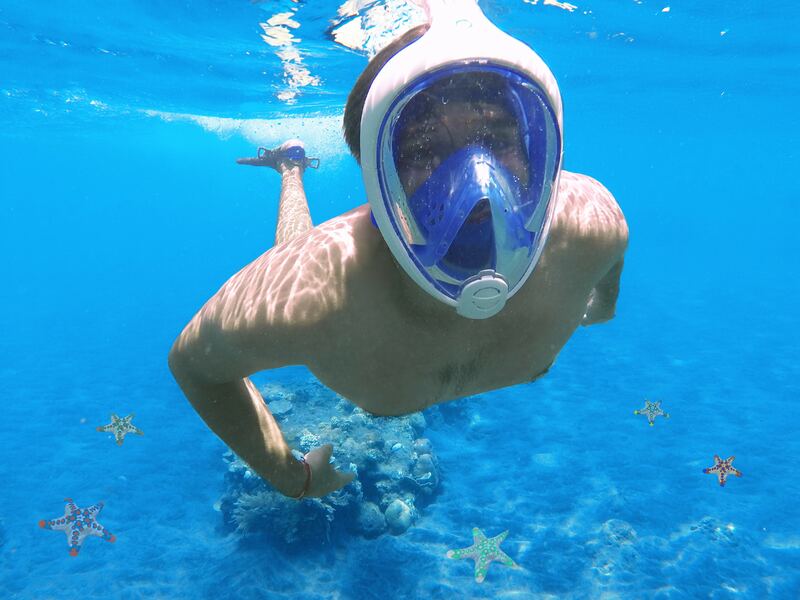 Questions are being raised about the safety of full-face snorkelling masks in Hawaii after data shows that tourists are 10 times more likely to drown than residents, and that the drowning rate on the islands is 13 times the national average. There are concerns that the new devices may be causing too much breathing resistance and the resulting work of breathing becoming too high, which can leave snorkelers short of breath, and lead to more serious problems in the water. The problem is not just the breathing resistance of new snorkel designs, but also of full-face masks. Due to the large dead airspace in the mask and tube, there is concern that there could be a build-up of carbon dioxide in the mask, which could lead to the swimmer becoming disoriented, weaker, and possibly black out and drown. Gary Cooper, a California resident, has been raising the alarm about the potential problem of full-face masks, after his wife drowned off the Big Island last year while using a full-face snorkelling mask. While there are still plenty of questions to be answered and a lot of research to be conducted, what is sure is that between 2002 and 2012, 102 visitors drowned snorkelling in Hawaii, which is massively disproportionate to the 13 Hawaii residents who drowned snorkelling during the same time. For more info, check out the full story in Civil Beat. We from DuikeninBeeld tried 14 of these snorkeling fullface masks and found out there are major differences between the masks, even if these might look all identical. Check https://duikeninbeeld.tv/test-snorkeling-masks/ for more info. For the full understanding of this article we need to understand that the first original and safe Full Face Snorkeling Mask was released in May 2014, so the numbers mentioned in this article have nothing to do with drownings related to Full Face Mask snorkels. The original producer put a lot of technology in a system that prevents CO2 build up. Unfortunately a lot of cheap illegal knock offs that invaded the market do not have this technology. Although I appreciate the research and the intent to help people to be safe, when you consider these numbers the likelihood of a tourist drowning is not ten times that of a resident’s. Hawaii has 1.4 million residents. In 2016 alone there were nearly 9 million visitors to the islands. what type of technology you used on this? whatever knockoffs or not, this design has potential CO2 buildup inside of mask on mouth area. I think you should carefully study this product, since this product is related to the life of people.